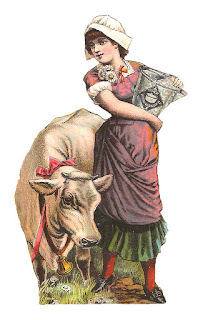 This is a wonderful digital image of a pretty milk maid and her lovely white cow. The pink bow and big bell around the cow are sweet! This lovely, country image is so idyllic and would be great in a project celebrating country life. 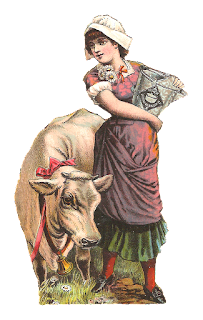 This would even be a perfect milk illustration to use on decorating labels on handmade products that are made with cow's milk, such as soaps. I created this lovely milk maid clip art from a Victorian paper scrap. I hope you enjoy this pretty cow and milk maid image in any of your projects! I love this! It's so beautiful and I love the colors! Thank you! You're welcome, Mary! 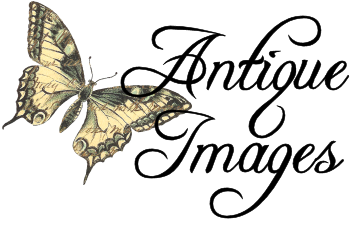 I love the colors too.